Vessels by Well, NoMatterDownloads 1388 The counter was reset in 2013 when the web site was moved. Before that the counters showed 19874 hits for this addons. 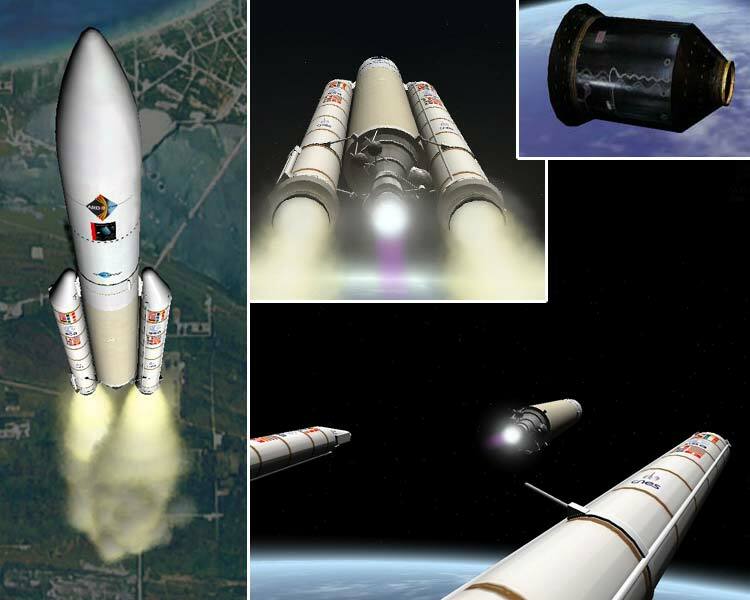 Ariane 5 in all versions (Generic, ES, ECA, short to long fairing). The pad ELA3 from Kourou-CSG was optimised for this addon. Include doc and tutorial for insert your own payloads. Use Key "P" for autopilot and to have the sound of the flight director. The prototype ARD is include in this addon. Use the modules of Vinka (required). Fix texture mapping on fairing, add the weight of fairing. Add scenario Flight V158 with the probe Rosetta (require Rosetta by Brian Jones). 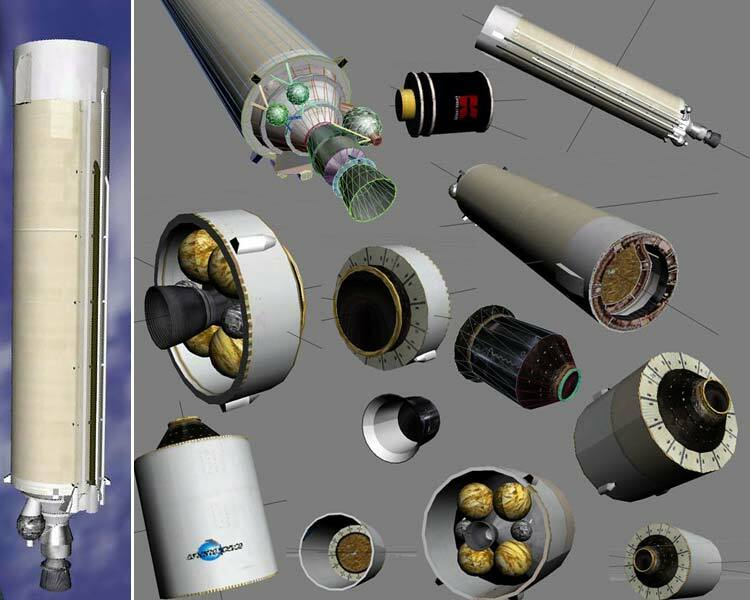 Add new configuration files of the ARD for best flight model during the atmospheric reentry. Fix weight of the second stage, power of boosters. Fix start position of scenario V158 (require Rosetta by Brian Jones). 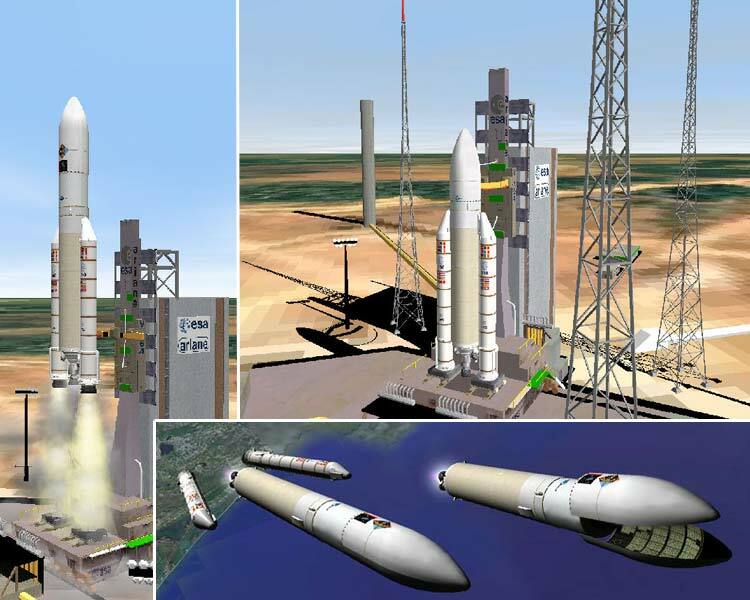 Fix a mix up between Ariane 5 ES and Ariane 5 ES Versatile. add specific scenarios for users who don't use Kourou CSG addon. 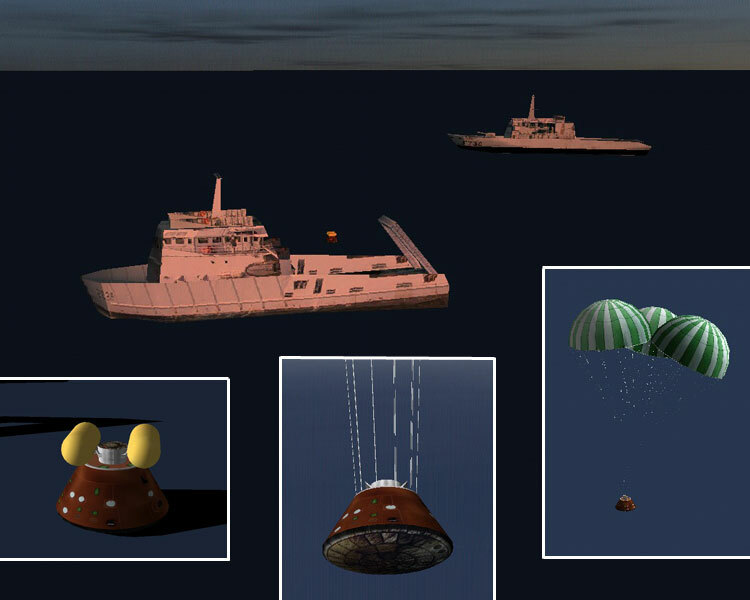 update original scenarios with CSG v3 definitions. Correction of the movement during the separation of the EPC. Correction of the PARTICLESTREAM of the flight v112. Addition of the tug boat " Le Revi " and the frigate " Prairial " on the zone of recovery of the ARD. New documentation .pdf collecting the various modifications. Correction Autopilots Ariane 5 ECA. Correction Autopilots Ariane 5 G.
2 useless files deleted, which are in conflict with the CTV addon.